I have finally made and decorated sugar cookies the proper way. 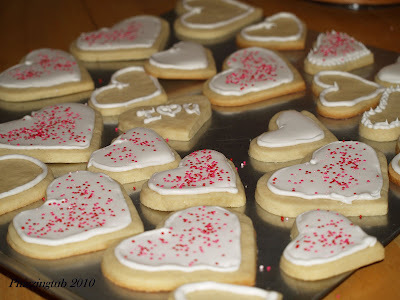 I have a blog to thank for this accomplishment... Bake at 350. 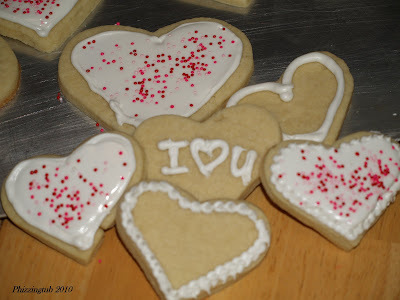 I stumbled across this wonderful blog one day while blog hopping and saw her post for Royal Icing. Royal Icing has never turned out right for me, and I figured why not give this one a try. Let me tell you this is the recipe to try, it turned out absolutely perfect. Now... I have to make sure I have the correct color of food coloring (silly me) and not try so hard to squeeze the left over icing out into the bowl (you will end up with a nice blob all over your foot and floor). Well done you, I'm impressed as personally I am an icing/frosting nightmare. All sticky fingers and thumbs!